Our ear is divided into 3 parts, external, middle and inner. The inner ear comprises of a system of canals and tube like structures that are filled with fluid and is known as a labyrinth, which does the function of transmitting sound signals to our brain, maintaining balance and coordination and finding vertical directions. Inner ear infection is characterized by infection of the labyrinth, which brings much discomfort to patients. Easy home remedies can help relieve mild symptoms but see a doctor if things get worse. Virus and Bacteria. Inner ear infection is most commonly caused due to viral infection such as from influenza or common cold virus or due to bacterial infection. Inner ear infection can also result as a complication of bacterial meningitis or acute otitis media. External or Middle Ear Infections. Infection from the external or middle ear can also travel to the inner ear. 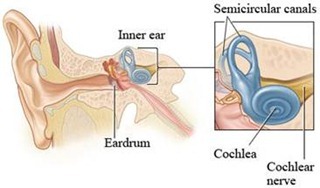 One such example is swimmer’s ear in which the external ear canal is usually affected. However, with constant probing the bacteria can travel into the middle ear through the ear drum and finally to the inner ear. In this event, the congestion in the ear becomes severe and can only be controlled by antibiotics. Allergies. Apart from the viruses and bacteria, allergies from pet dander, certain foods and also to some prescription drugs can also cause an inner ear infection. Stress. Chronic and severe stress has multiple negative effects on the body. Anxiety can occur due to prolonged stress, ultimately leading to an inner ear infection. The patient will have sudden attacks of dizziness and disorientation that develops into an episode of panic attack. Other Causes. Inner ear infection can also result as a side effect to certain medicines. Moreover, injury to the ear or head can also be one of the causes of inner ear infection. The risk of developing an inner ear infection is increased in smokers and people who use certain prescription drugs such as aspirin. Symptoms of dizziness and nausea often results from other reasons too, which can range from brain tumors to certain neurological disorders. In adults, the symptoms of inner ear infection may last for up to 2 weeks if the condition is diagnosed early. However, a delay in diagnosis or treatment may result in permanent hearing loss and damage to patient’s balance system. 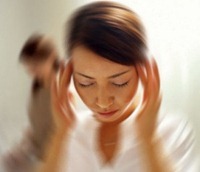 In such cases, even after treatment, the patient may suffer from episodes of chronic dizziness. Let us discuss the management of inner ear infection. Rest. Patients are advised to bed rest in the initial week of infection. It is also recommended to avoid bright lights, reading and making sudden movements. You should follow safety precautions at home such as use nonskid mats to prevent falling and remove any objects that are sharp and breakable. Keep Balance. To maintain your balance during the illness, it is recommended to practice certain balance exercises. These could be as simple as practicing small head movements and balancing during sitting and standing. Warm Compress. Earache from inner ear infection can be relieved by putting a warm compress on the affected area. Take a washcloth and dip it in warm water. Wring excess water from the washcloth and place it over the infected ear. Consume Vitamins. 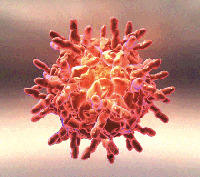 Infections are usually a result of a weakened immune system. Hence, taking vitamin C during an inner ear infection is beneficial as it helps in strengthening the body’s immune system. Eat Properly. During the infection it is recommended to eat light food such as broths, soups, vegetable juices, lemon drinks, and herbal teas. You should increase your intake of water and stay well hydrated. Include certain anti-inflammatory foods in your diet including ginger, turmeric, garlic, and fish oils. You should also up your protein intake and avoid fried foods, caffeinated beverages, salt, sugar, and aspirin. Wash and Use Drops. You can also wash your ear using colloidal silver. If the ear becomes red, hot, painful and swollen, using drops of garlic oil or lobelia oil or olive oil is beneficial in relieving the pain and swelling. Apart from the various home remedies mentioned above, medical treatment of inner ear infection depends on the cause of the infection. If it is caused by bacteria, then antibiotics are administered either orally or intravenously. A viral infection may require treatment with corticosteroids such as prednisone, which helps in reducing the swelling. An antiviral may also be given in such cases.